Barloworld is a distributor of leading international brands providing integrated rental, fleet management, product support and logistics solutions. The core divisions of the group comprise Equipment (earthmoving equipment and power systems), Automotive and Logistics (car rental, motor retail, fleet services, used vehicles and disposal solutions, logistics management, supply chain optimisation and waste management). We offer flexible, value adding, innovative business solutions to our customers backed by leading global brands. 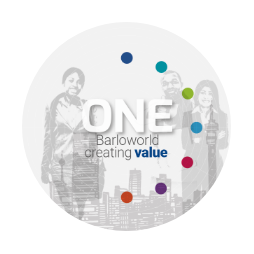 Barloworld has 116 years of heritage built on solid relationships with our principals and customers. The brands we represent on behalf of our principals include Caterpillar, Avis, Budget, Audi, BMW, Ford, Mazda, Mercedes-Benz, Toyota, Volkswagen and others. Barloworld has a proven track record of long-term relationships with global principals and customers. We have an ability to develop and grow businesses in multiple geographies including challenging territories with high growth prospects. One of our core competencies is an ability to leverage systems and best practices across our chosen business segments. As an organisation, we are committed to sustainable development and playing a leading role in diversity and inclusion. The company was founded in 1902 and currently has operations in 16 countries around the world and employs over 17 400 people. * Appointed 1 September 2018. ** Appointed 1 September 2018.